THE APARTMENTS were obtained from a completely renovated farm house with the personal contribution of owner Massimo, who planned and directed the works. While attempting to preserve the typical Tuscan features (the ceiling with beams and rafters, and the Florentine terra cotta tiles) without renouncing the comforts we are used to today. The apartments are surrounded by a garden, where there is a swimming pool with a large panoramic terrace and a private parking. 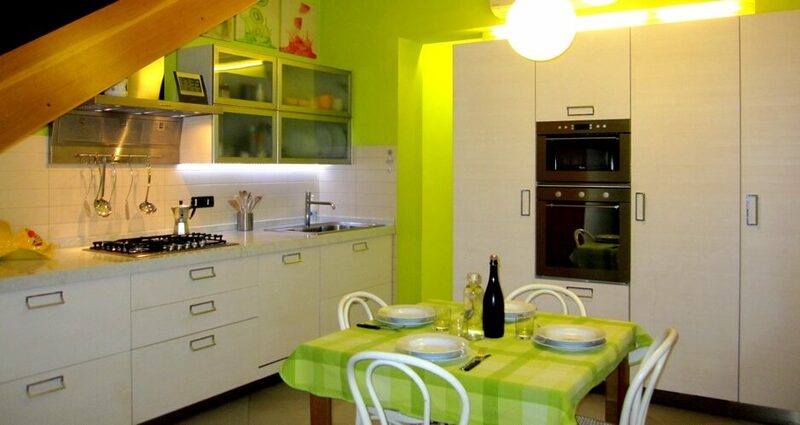 The apartments : ORANGE, BLUE, YELLOW, GREEN, each of them can accommodate up to 4 people. The MASTER House, it can accommodate up to 6 people. 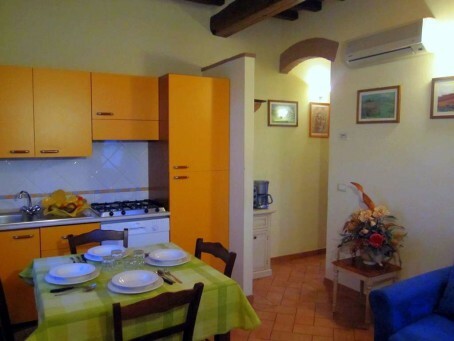 The apartments are ground floor, with private garden and babecue, they are all equipped: independent entrance, parking, heating, air conditioning, free internet WI-FI, Tv-Dvd, hair dryer, dishwasher, washing machine, clothesline, iron and ironing board.